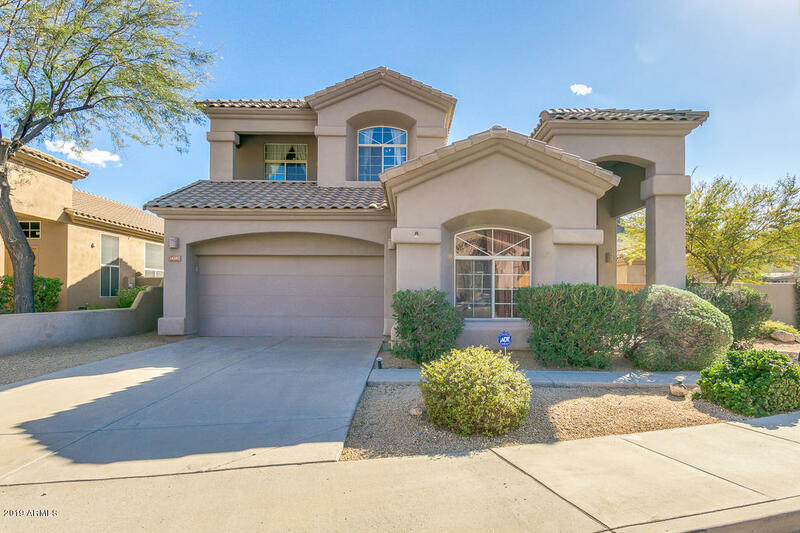 All SADDLEVIEW homes currently listed for sale in Scottsdale as of 04/24/2019 are shown below. You can change the search criteria at any time by pressing the 'Change Search' button below. "ENTERTAINER'S DREAM HOME with detached GUEST CASITA. $100K VENETIAN GLASS SALT WATER HEATED POOL/SPA, WATER FEATURES/GAZEBO plus Built-in BBQ w/bar. All this with MOUNTAIN VIEWS in all directions. ELEGANT ENTRY with SOARING CEILINGS,SPIRAL STAIRCASE leading to LOFT, MASTER SUITE and 2 bedrooms with BALCONY access to enjoy views from both sides of the home. NO CARPET anywhere!! WOOD FLOORS and TILE T/O. GRANITE countertops, lots of cabinetry, kitchen w/breakfast bar opens to dining area and famil"